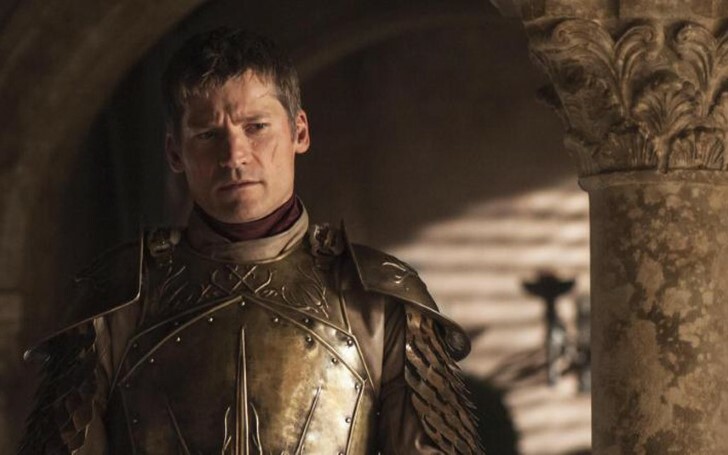 While "Game of Thrones" fans are waiting full-fledged on the second episode of season 8, the epic Jaime Lannister theory is getting more attention than ever. And with that, the courtesy of Reddit user byrd82 has resurfaced. The postulation claims that Jaime Lannister (Nikolaj Coster-Waldau) is the actual reincarnation of Azor Ahai, the much talked about "prophecy" which has been an integral part, both in "Game of Thrones" and "A Song of Ice and Fire." The Lord of Light, the Golden Hand, and the High Valyrian translation blunder: Reddit user u/byrd82 starts off his observation by analyzing a few Valyrian syllabaries. The words "aeksio" and "onos" stands for "lord" and "light" in High Valyrian, whereas "aeksion" and "ondos" mean "gold" and "hand." Jaime Lannister is seemingly becoming a more likable character to emerge out as the reborn of Azor Ahai. Seeing the relation between these words, it calls for a notion that the Lord of Light, "the one true god" is actually no god at all, but a real person, "a golden hand" destined to save mankind from the threat of one true enemy, the White Walkers and the infamous Night King. This further suggests that the entire Lord of Light religion is based on a translation error, something like a type of twist that George R. R. Martin would pull off. Jaime sure is the only character with the Golden Hand, but his redemption arc in the story beats all the other odds of someone else being the prince that was promised (more on this down below). Jaime Lannister, Azor Ahai prophecy and the creation of the hero's sword: The prognostication of Azor Ahai goes coherently with the legend of Lightbringer. The legend of Lightbringer is essentially the story of forging the hero's sword. Initially, Azor Ahai struggled to forge the sword, especially with its strength; the legendary swordsman tested it two times, once in water and the other time in lion’s heart, yet the sword failed in both of the try-outs. Azor finally cast the formidable when he plunged it into the heart of the woman he loved, Nissa Nissa. How does the story relate do Jaime? “byrd82”, explains that forging a hero's sword is metaphorical for forging a hero's character. Jaime "forges his hero's sword" by getting rid of his "Kingslayer" sobriquet. And the first sign was losing the physical representation of corruption - his sword hand. The three trials of the Lightbringer play an important role in here. First, Azor Ahai tried to temper the sword in water, but it failed: Jaime's first attempt to redeem him from the name "Kingslayer" happened when he shared the story of how he killed the Mad King and saved the population of King's Landing in the bath with Brienne. Jaime was, quite literally, broken at the time. But once he was back in King's Landing, his connection with Cersei defiled his morale again. The second time, Azor pierced a sword into the heart of the lion, but the steel shattered again: Jaime’s brother, Tyrion shot Tywin, a lion, in the heart, which he was able to do because Jaime freed him. Cersei later blames Jaime as she says that it was because of his stupidity that their father died. Jaime's Nissa Nissa and the third strive to forge the Lightbringer: In order to finally mold his hero's sword, Jaime would have to get rid of the duplicity once and for all by killing the one person that's holding him back from fulfilling his fate - Cersei Lannister, his Nissa Nissa. Once Jaime kills Cersei, not only will he create the heroic sword, but he will also fulfill the prediction of the valonqar from Cersei's Maggy the Frog Prophecy. According to byrd82, Lightbringer won't be a figurative sword itself, but the return of Jaime's sword hand aflame; in that case "the fiery hand," which just happens to be the name of the group of slave mercenaries who protect the Lord of Light temple in Volantis, will serve as Lightbringer. Once Jaime's hand is set ablaze, he will wrap his hands around Cersei's throat and choke the life out of her. Only then will he be reborn amidst smoke (from his fiery hand) and salt (from Cersei's tears,) just as the Azor Ahai prophecy forecasted. The Fiery Hand – foreshadowing and clues: As per byrd82, there's one very strong piece of visual evidence that aids the fiery hand theory. It happens in "Game of Thrones" season 4 episode 5 when Meera asks Jojen, "How will we know the end?" Jojen's then set his hand on hand on fire and replies: "We'll know." 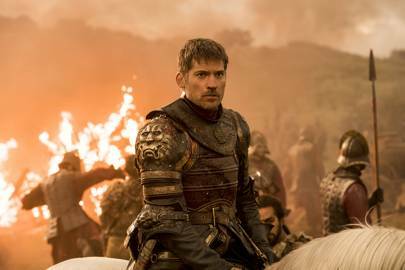 A description from "A Storm of Swords" also makes a strong reference to Jaime's fiery hand: To make matters even more plausible, Jaime actor Nikolaj Coster-Waldau hinted in an interview that fire is an integral part of Jaime's story. u/byrd82's also puts forward the hypothesis that Jaime will end the dispute with the White Walkers, rather through his diplomacy. In the sixth season of "Game of Thrones", we can see three different squabbles and three different leadership styles, Jon and the Battle of Bastards, Dany in Slaver’s Bay and Jaime in Riverrun. True, the former two leaders were right on their own to choose the brutality even at the very end of their war, but as for the discussion sake, Jaime was only the one who preferred a peaceful resolution in Riverrun, proving that he is quite a political when it comes to battle. Don't Miss: Game of Thrones Season 8: What Does The Night King's Spiral Symbol Mean? Jaime is more likely to sacrifice his twin sister and his love in order to save mankind, even if it means saving the slavers and Ramsey "Boltons" of the world. On the other hand, Daenerys and the King in the North aren’t that much of a talker or a reconciliatory. If there's one thing that "Game of Thrones" has taught us it's that the war is not a solution, so it presumably is less likely to end its run with a huge bloodbath. The series was never about a war, or the hero being the hero all along. It was always the story of "a human heart in conflict with itself," and absolution arcs, such as that of Jaime Lannister. Even the recent episode of the show contributes to the theory. In the premiere episode of season 8, we saw Bran keenly waiting for “his friend”. Out of all the characters, the last son of Stark wasn’t himself anymore, demonstrating somewhat of a recluse attributes towards all of his family members. But his whole intention throughout the episode was rather meeting a mysterious character. Though we see Jaime facing-off Bran in the climax, it's still a matter of the second episode until we know if Bran’s mysterious friend is Kingslayer after all. Bran is no longer a Stark, in fact, he is not a human after all, but the so-called three-eyed raven. A persona who was previously friends with Azor Ahai, the partnership which was able to banish the previous long night happened eons ago in the world of Game of Thrones.